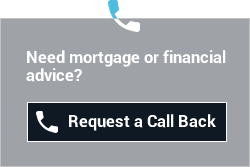 At London Finance Solutions, our specialist mortgage brokers have developed and maintained vital relationships with lenders who are able to lend to you based on a multiple of your annualised contract rate without the need for 2-5 years of accounts. Our advisers understand the world of contracting and therefore are able to assess your personal situation and look at the best options based on the type of contract, length of contract and your previous experience, whether that was employed or contracting. We have seen more recently, people are moving from permeant positions to contracting roles, as the remuneration is much greater, and they have the flexibility which does not come with a employed role. Historically this would cause an issue if you were looking to take out a mortgage, however , the market has evolved with more lenders understanding how contractors work and the reasons why they move to contracting. If you try to secure a mortgage via a “High Street” bank or building society, it is likely that you will be asked for at least 2 years accounts, which not only makes things impossible for first time contractors, but can cause a problem for existing contractors depending on how they access their income from the company. Here at London Finance Solutions, our advisors are able to help you access the best deals and advise on the most competitive mortgage interest rates currently on the market. We can provide professional help to get you the best deal as a first time buyer, remortgaging your existing property, investing in buy-to-let property, or even using the Government “help to buy” scheme. Similarly to professionals, contractors can apply for specialist deals, for example, up to a 95% mortgage on any property type with the support of “help to buy” phase 2 launched in October 2013, the Mortgage Guarantee Scheme. The scheme provides mortgage lenders with a government guarantee to cover part of the loan in the event that the borrower defaults. The “95% mortgage” means that all a contractor requires is a 5% cash deposit and to satisfy the requirements of a regular mortgage application to the selected lender. There are now many more lenders that are prepared to underwrite loans to contractors based on an annualised multiple of their daily contract rate. It is no longer necessary to have 3 to 5 years of proven accounts or earnings to secure a mortgage. Feel free to contact one of our advisors for further information and advice.